As employees, we are ambassadors for JCPS and a vital part of our district's progress. We provide quality service every day to everyone who calls or visits our schools and offices. Backpack League is a deeper learning adventure coming in the summer of 2019. This will be a four-week camp experience, July 8 through August 2, for third- through sixth-grade students in the 2019-20 school year. This exciting new opportunity for our students can’t happen without our wonderful teachers. We are calling on teachers to work in pairs and come up with their most creative ideas to inspire students this summer in reading, math, science, and social studies. Click here for more information about Backpack League, to get ideas, and submit your proposal. View webpages for JCPS divisions, departments, and programs. Search JCPS forms to find the form, brochure, poster, or handbook that you need. Use our online calendar to find the information you need for the academic calendar, work days, activities, and other information. The handy filters on the left let you see just the information you need. The JCPS Job List offers details on all jobs currently open throughout the district. 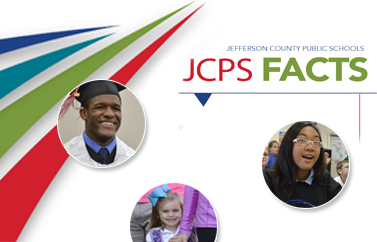 See what’s happening at JCPS. Share upcoming events with the Communications Department. Share recent event photographs and details with the Communications Department. The Jefferson County Public Schools (JCPS) Employee Sponsored Student Scholarship Fund is the first ever scholarship fund on behalf of JCPS and offers YOU the firsthand chance to invest in the futures of our students. To access Kentucky resources regarding ranks and bonuses for National Board Certification, visit the KDE website. For individual questions, send an email to Charlotte Ivey. Internet Public Library (IPL)—A consortium of colleges and universities with programs in information science is developing and maintaining the IPL. RubiStar—Quickly create rubrics for a wide variety of content areas. JCPS Teacher Certification Department—Send an email with your questions. Collection of KDE, district, general instruction, math instruction and select tutorial links. The Principal's Planner includes spending guidelines, media guidelines, forms, safety plans/proceedures, and more.